Considering our country is famed for its summer season, it does a pretty damn good job of winter too — and we’ve found the weekend escapes that prove it. Whether you’re in search of snow-capped mountains, somewhere to drink a Barossa Valley Cabernet Sauvignon by a wood fire with a postcard-like view, or (for those who are afraid of the sub-zero temperatures) a getaway that will transport you back to summer, we’ve found the destinations that will make you fall completely in love with winter. Set in the very heart of Red Hill amongst 34 acres of gardens and vines, Lindenderry at Red Hill is undoubtedly the ultimate winter weekend escape. Located just an hour’s drive from Melbourne (Melbournians, what are you waiting for? ), the luxury boutique is home to Hecker Guthrie-designed European-meets-Australian interiors that you could contentedly relish in all day, a paddock-to-plate restaurant and a must-visit cellar door famed for its Chardonnay and Pinot Noir. And if you do want to explore the area, you’re on the doorstep of everything the picturesque Mornington Peninsula has to offer — pure-sand beaches, soul-enriching nature and artisan produce. It would be an understatement to say that Quamby Home in Northern Tasmania has become a popular vacation spot for visitors and Tasmanians alike. The newly renovated, 1870’s built, luxury accommodation house is situated on 312 acres of English garden and prime farm land in the Meander Valley — and trust us when we say that it’s even more beautiful than it sounds. The home sleeps up to 10 people (rally the troupes! ), boasts a fresh, white interior that we guarantee you’ll want to Instagram (over and over again) and is home to the most impressively lush and infinite 360 degree view we’ve ever seen. For the sun seekers who don’t want to leave the country, it’s time to check-in to Halcyon House. This five-star boutique hotel and spa is located in Cabarita Beach on the NSW north coast and boasts balmy temperatures all year round. But more than that, the Mr & Mrs Smith property is home to the award-winning and hatted restaurant Paper Daisy, a luxurious spa and an umbrella-fringed pool that is worth the booking in itself. And if that’s not enough, the luxury property consists of 19 rooms and 2 luxury 2-bedroom suites that have been individually designed renowned interior designer, Anna Spiro. Holiday makers, foodies and design-lovers, book now. Pretty Beach House is best described as a quintessentially Australian escape. Located 100kms north of Sydney on the seaside Central Coast, the intimate private guesthouse and with four luxurious pavilions are nestled within the heart of the NSW Bouddi National Park and high above Pretty Beach — if you like the idea of staying in a luxury treehouse with all the bells and whistles (think in-house dining, heated plunge pool, day spa and Pinterest-worthy interiors), look no further than this award-winning Mr & Mrs Smith property. If Tasmania’s famed Freycinet Lodge isn’t already on your bucket list, add it now. Just when we thought seaside eco-lodge located in the remote and rugged Freycinet National Park couldn't get any more beautiful, its nine brand new environmentally sensitive and architecturally innovative coastal pavilions that allows guest to feel immersed in the natural environment have proved us completely wrong. As one of Tasmania’s most visited guest lodges, we suggest jumping on the next flight to Tassie to experience one of the country’s most spectacular waterfront hotels and be prepared to be wowed by the unrivalled natural beauty of the Freycinet Peninsula. Self-described as “a place to stay, relax, celebrate, unwind, love, laugh, drift and help you find your luxury”, Drift House is undoubtedly one of the most charming and joyful places to stay in regional Victoria. 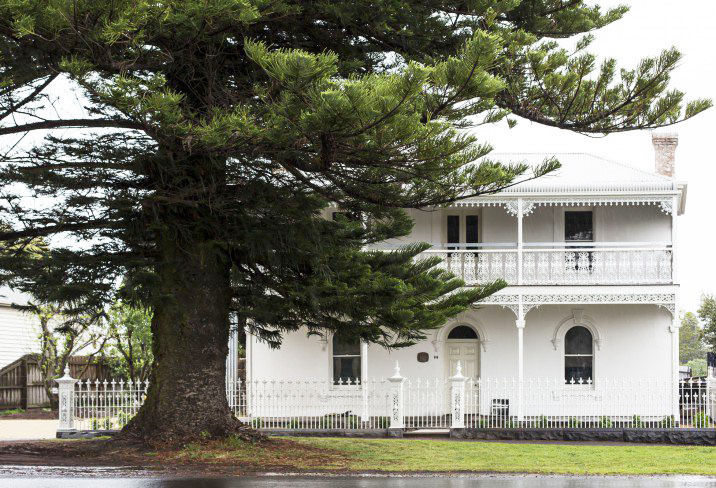 Located in the coastal town of Port Fairy on the Great Ocean Road, this Mr & Mrs Smith property is one very special place to stay. Designed by award-winning design architects, Multiplicity, Drift House is a property of contrasts consisting of four very private and entirely self-contained suites each with an individual design. Every room has been created with innovative materials, salvaged timber and beautifully designed fixtures. The result? Simply a modern, yet cosy place to stay. 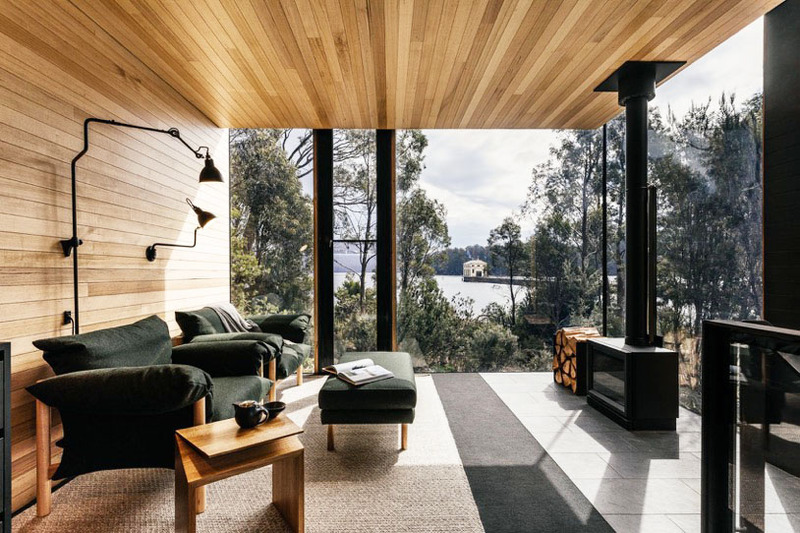 In the middle of Tasmania, on the southern hemisphere's deepest lake, awaits Tasmania’s newest wilderness retreat — allow us to introduce you to Pumphouse Point. The boutique hotel’s location on Lake St Clair which forms part of the Tasmanian Wilderness World Heritage area is its first extraordinary accolade, closely followed by the fact one of its two converted industrial buildings is a renovated 1940s hydro facility located at the end of a 270m long pier jutting over the lake. History and location aside, Pumphouse Point offers seriously breath-taking views, beautifully designed rooms and some of the best local and seasonal food you’ll find in the state.